In most countries, the Ebola pandemic, which led to 3,016 Liberians dead, would prompt a time of national mourning. Leaders would cancel frivolous public appearances and political campaigning would be put on hold at least until the country is declare an Ebola free country. But this is Liberia, and the politicians’ election shows must go on. After all, if the politicians were to cancel elections after every gruesome incident, they wouldn’t be able to campaign at all. And so the capital was put on lockdown, causing traffic jams all around the city from aspirants and their supporters. The forthcoming December 16, 2014 Montserrado county senatorial election in Liberia is another election that has become easy to predict, but for different reasons. Yes, it is a much ballyhooed election, especially since the emergence of Robert Sirleaf. Cherished by his mother, the president of Liberia, Robert Sirleaf remains among ordinary people in Liberia as a product of the nepotism and patronage system in Liberia and nothing more. One of Madam Sirleaf bigger problems with her people is over her son who spent most of his life outside Liberia. The President’s decision at the time, to appoint him as official senior adviser and chairman of the board of the National Oil Company of Liberia (NOCAL) which gave him responsibility for major projects, gave rise to suspicion that she plans to create a monarchy. His novelty has long died down and a new harsh and dismal political reality now confronts him, especially since one of his opponents is a former international football legend turned politician, who is leading a youth dominant opposition party, Congress for Democratic Change (CDC) and arguably the leading opposition leader in Liberia, today, George Manneh Weah. George Weah also worked for President Sirleaf as a Peace Ambassador before resigning in November to contest the senatorial election. 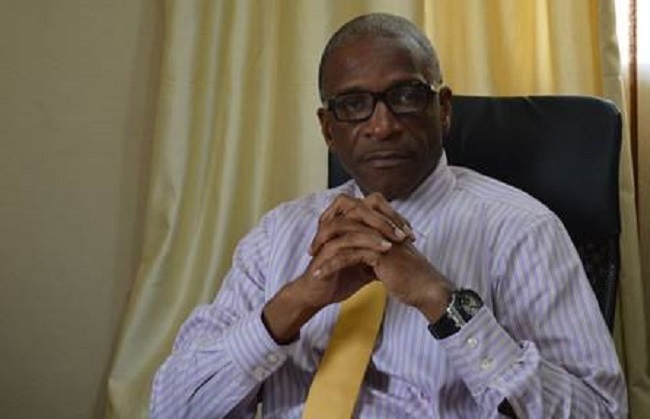 Like Former Senegal President Abdoulaye Wade’s Son, Karim Wade, who stood in the Dakar mayoral elections of 2009, hoping that a high-profile role in local government would be a springboard to higher office, Robert Sirleaf sees himself in that fashion. However, Karim Wade candidacy was a spectacular failure and he was unable to win the popular vote even in his local polling station. A widely despised figure during his father’s presidency (like Robert Sirleaf), Wade held powerful ministerial positions including being in charge of major infrastructure and energy projects. At one point he controlled up to a third of the national budget, leading to him being dubbed “the minister of the earth. After Wade’s departure, his son, Karim Wade and other former government officials were arrested on corruption charges. The younger Wade is accused of illicit enrichment of illegally amassing a $1.4 billion fortune and has been imprisoned for over a year. According to the Liberia Institute for Public Integrity (LIPI), “records show that the only two infamous accomplishments of Robert Sirleaf, were his sole outsourcing of the most lucrative blocks 13 and 14 through controversial concession arrangements which the General Auditing Commission indicated were marred by irregularities and confirmed in the Moore Stephens draft audit report. The concessions for Block 13 and 14 were handled and concluded by President Sirleaf and her son, Mr. Robert Sirleaf.” Robert Sirleaf is also accused of not giving a full accounting of the $10.5 million social contribution from Chevron for the people of Liberia. It’s hard to avoid the conclusion that the special senatorial election in Montserrado schedule for December 16, 2014 is a referendum on President Sirleaf and her entire family. After 8 years in power, Liberians are generally fed up with Madam Sirleaf leadership, especially her regime handling the ongoing Ebola pandemic crisis raging the country. In short, the ruling Unity Party official statement declared the “beloved son” of President Ellen Johnson Sirleaf, Robert, as a character with moral deficiencies too “appalling” to contest the ensuing senatorial election as a candidate after UP senatorial candidate and little known Ali Sylla quiet Montserrado county senatorial race citing medical reasons for the pullout. George Weah stand is also boosted by the endorsement of some executive members of the ruling Unity Party (UP), leaving many others contesting against him at a disadvantaged position. For these and other reasons, the 2014 senatorial election in Montserrado will be a difficult one for Robert Sirleaf. Monsterrado County is considered George Weah’s Congress for Democratic Change (CDC) stronghold and the probability of beating George Weah there is not easy. Why? During the Monsterrado County Senatorial election conducted in 2005, CDC Senatorial candidates won the two senatorial seats in Monsterrado county, thereby, beating the likes of Clemenceau Urey (UP), Wilson Tarpeh (ADP), Kadie Kamara (Liberty Party), and 14 other candidates. CDC’s Joyce Musu Freeman won 86,008 (13.3%) while the late Hannah G. Brent won 86,008 (12.4%) respectively. On November 10, 2009, Montserrado County conducted a by-election to fill the vacancy caused by the death of Hannah G. Brent, Junior Senator from the Congress for Democratic Change. . The NEC accredited ten candidates to participate in the by-election– five candidates from political parties and five independent candidates. In accordance with Article 83b of the Liberian Constitution, in the event that no candidates obtain an absolute majority of votes cast in the first round, the two candidates with the highest numbers of votes in the first round must contest a run-off. On November 24, Geraldine Doe-Sheriff of CDC and Clemenceau B. Urey of the Unity Party contested the run-off. Ms. Doe-Sheriff was victorious with 56.0% of the valid votes against Mr. Urey’s 44.0%. During the 2011 Montserrado County senatorial election, and with 100% of the vote counted (442,362 voters), Ms. Doe-Sheriff won 52% (233,038 voters), thereby beating the likes of Lewis Brown, Luseni Bilty, and others. Political activism is the most dangerous venture to ever contemplate, especially in a country where intellectuals sell their honor to cover up government’s failures in the most incoherent jargons and shameless stunts and George Weah is no exception. George Weah has obvious weaknesses. It is hard to hide them when these weaknesses are exposed relentlessly day by day by the media and by Liberians on the social networking site, Facebook, unfortunately, the youthful voting population in Montserado county view Weah as a committed, hardworking, determined man, who is not propelled by his brilliance to assume absolute or authoritative knowledge, but could listen to all sorts of people—from them, identify and pick the best out of all they say, is all they need—and getting him, they will wholeheartedly support and give him way—to carry along. They are not bothered whether Weah can deliver the most difficult match of putting the Montserrado County on a path to sustainable progress, assuming he won the elections. President Sirleaf isn’t on the ballot, of course, but her policies and her son are. It is unclear if Madam’s Sirleaf administration is the most corrupt in Liberia’s history, but never has corruption been this romanticized and institutionalized as evident in her administration. George Weah may not be considered a candidate of substantial stature or greatness intellectually to the so-called educated class in these elections, but as far as the majority of the youthful electorates are concerned, Weah is lesser than the two evils due to their discontentment of Madam Ellen Johnson Sirleaf regime even though voting for the lesser of two evils is still a vote for evil.